In an op-ed in Crain’s Chicago Business, CBF President Carrie Di Santo and CBF Executive Director Bob Glaves lay out why the Chicago legal community needs to commit to doing things differently and how that will expand legal assistance for people left out of the market now. While the causes of the current failure in the market for legal services are complex and long in the making, the urgency for change could not be clearer. Unfortunately, too many lawyers don’t see the problems firsthand in their practices and thus cling to long-held traditions despite stark evidence that the current system is not working for the majority of the public. The CBF is proud to be featured in the Social Innovations Journal’s most recent edition, Chicago’s Social Innovations, Social Enterprises, and Public Private Partnerships. We are humbled to be included among the many other innovative projects and programs, which together demonstrate how Chicago is a leading force in the international social impact and social policy movement. 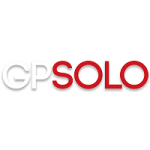 Not all attorneys can dedicate themselves to pro bono or public-interest work, but every attorney regardless of his or her practice can show up. You can show up at legal clinics. We can show up at our legal clinics and our firms, said Gary K. Wachtel, a senior director at Discover Financial Services. We just have to continue to show up, giving our time, expertise and resources, and give profound help to those in need. 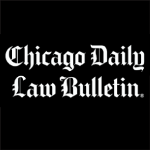 A March 21, 2017 article in the Chicago Daily Law Bulletin features the CBF’s Investing in Justice Campaign. Now in its 11th year, the annual campaign brings the entire legal community together to help ensure that everyone has access to necessary legal help, not just those who can afford it. The Campaign runs throughout the month of March and is chaired this year by Jesse Ruiz, partner at Drinker Biddle & Reath LLP. An article in the March 17, 2017 edition of the Chicago Daily Law Bulletin focuses on the President’s elimination of all Legal Services Corporation funding in his recently proposed budget and the devastating effects this funding loss would have on legal aid services in Illinois. The article highlights the response of LSC-funded organizations in Illinois and national and local bar groups, including the CBF. In an op-ed for Crain’s Chicago Business, CBF President Chuck Smith and Executive Director Bob Glaves respond to recent talk of eliminating federal funding for the Legal Services Corporation. The American Bar Association conference July 30-August 4 in Chicago brought in representatives from around the world, including Chairman of the Bar Council of England and Wales, Alistair MacDonald. Intrigued by the concept of the Justice Entrepreneurs Project, which he visited, MacDonald penned his thoughts on the program and whether it would work in the UK legal system. 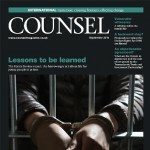 Read his article Bridging the gap in Counsel Magazine.